Our Father is a small book with big insights. It gives you a behind-the-scenes look at the deep meaning of the Lord’s Prayer. As you see each phrase devotionally unpacked, you’ll be more than inspired. You’ll be empowered. Because when you pray with understanding, you pray with power. And as you do, it changes everything. Prayers that may have felt repetitious before will become confident declarations. Your prayer life will flourish as you find yourself praying with a whole new boldness! Paperback, 43 pages, 4.75" X 7"
You may request additional copies for a one-time gift of $5.00 per copy. 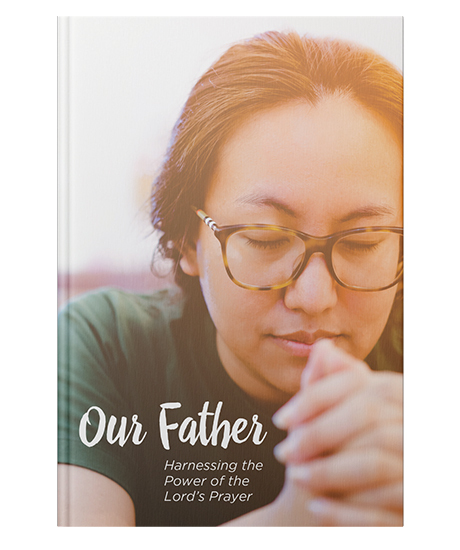 Successfully added Our Father: Harnessing the Power of the Lord's Prayer to your cart.